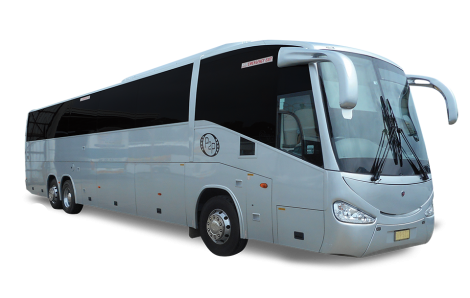 Hire a bus transfer to shuttle your party from hotel for Theme Park Transfers Gold Coast. We have coaches and mini buses, all luxury transport fitted seatbelts and DVD on board. There are many theme parks on the coast ranging from Zoo’s to Water Parks. Next time you require Gold Coast theme park transfers contact us for direct travel. Surfers Paradise Transfers to Dream World, Movie World, Wet ‘n’ Wild, Australian Outback Spectacular and Paradise Country. Gold Coast Theme Park Transfer Prices are a guide only. Late pick ups will incur surcharge. Visit Sea World on Australia’s Gold Coast! Make contact with marine life wonders and experience a whole world of amazing rides, shows and attractions at a Gold Coast theme park favourite! More than just a theme park, Sea World is committed to educating guests about the marine environment, and playing an active role in Australian marine research and rescue. Home to Tiger Island, Nick Central, The Australian Wildlife Experience, Wiggles World, Big Brother, Flow Rider and some of the tallest, fastest thrill rides in the world, Dreamworld is the ultimate place for family fun. Visit Wet’n’Wild Water World, Australia’s premier water theme park on the Gold Coast. Enjoy all the fun and excitement of the world’s latest slides, pools and attractions at the largest Australian water theme park. Experience a day of splashtacular Gold Coast theme park fun for the whole family. Visit Warner Bros. Movie World on Australia’s Gold Coast – where movie magic happens every day! As the only Australian movie related theme park, you will experience a fun-filled, Gold Coast theme park family adventure with all the glitz and glamour of Hollywood. Meet your favourite stars and enjoy all the behind-the-scenes action, comedy stunts and exhilarating rides, shows and attractions! Gold Coast has earned a special place in the hearts of millions of visitors. Every day, you can get closer to more than 1,400 native Australian animals in natural bushland and rainforest surroundings. The Sanctuary offers a world of discovery through fascinating wildlife shows and displays, as well as nightly Wildlife Adventure tours. Currumbin Wildlife Sanctuary is a non-profit organisation. An evening dinner show presented by R.M.Williams, filled with outback music, drama and action! Just 20 minutes from the heart of Surfers Paradise. Nightly, from Tuesday to Sunday, the $23m attraction, set in a 1000 seat enclosed arena, features a one and a half hour extravaganza with spectacular audio and visual effects as well as a three-course Aussie BBQ dinner featuring quality Australian beef. As part of the entry ticket, in addition to the show and dinner, guests also receive beer, wine or soft drink during the show as well as a free Stockmen’s hat! Come and visit us and enjoy our interactive farm tour. Life on a farm is a fantasy for kids of all ages and that’s the universal appeal of Paradise Country… a great day out for kids, families, students, international tourists, corporate groups and anyone seeking a slice of outback adventure! Paradise Country’s half-day farm tours include a barbeque lunch with live entertainment and bush dancing. Tours without lunch are also available. Brought to you by Dreamworld they offer you the top 4 waterslides in the world! No need to worry about the cold water in the winter, at WhiteWater World all pools, rides and slides are heated. Bring the whole family for a great day out at one of the best water attractions in the world Nickelodeon’s Pipeline Plunge and the toddler playground, Wiggle Bay. First-class facilities, award-winning food and wine and incredible scenery to ensure your next event or function is a huge success. From memorable weddings, Christmas lunches and 21st birthday parties to large conferences and office functions, Sirromet can cater to your every desire. Contact the Functions Department, to discuss booking your next event or function by phone. The home of the world’s largest variety of tropical fruit. They are open daily from 10am until 4.30pm Eastern Standard Time, except Christmas Day. Entry to Plantation Pavilions is free. Here you can purchase fresh tropical fruits and ice creams, drinks and mouth-watering lunches. Plus famous natural skincare and gourmet products. You may wish to purchase a Park Ticket and enjoy our plantation safaris, mini train rides, jungle riverboat cruise, treasure island, fauna park and fruit tasting shows. Infinity is a mind-blowing 40-minute journey into spectacular, futuristic maze-like “worlds of wonder”. It’s a dream-like fun house of the future! Made up of an extraordinary series of around 20 multi-sensual environments filled with unique special effects, atmospheric sound fields, ultra groovy music and illusions that appear to go all the way to Infinity! It’s an exciting, hilarious, interactive experience. Spacewalker is an amazing, fun-filled, special effects journey through space and time. Be teleported 40,000 light years to Star Station Zeta. Experience the thrill of micro-gravity. Enter amazing Discovery Pods. Journey through bizarre Wormholes and Spacewalk through the planets and the Milky Way. Disappear into other dimensions inside a Black Hole – all in the middle of Surfers Paradise. Take a self guided tour, though twelve individually themed air-conditioned galleries; featuring hundred’s of unbelievable exhibits, amazing stories, magic, mystery, incredible illusions, interactive displays and two unforgettable movies. Movie Stars, Scientists, Explorers, Villains and World Leaders all presented with startling realism and dressed in authentically reproduced costumes. The figures are so life-like the visitor could be excused for expecting them to walk and talk.